Bumble connects users with one another, looking to network, connect and mentor. With a lineup of prominent local business owners, Bumble’s “Mindfulness Matters” workshop offered suggestions on how to create a better work and life balance for an ideal career. 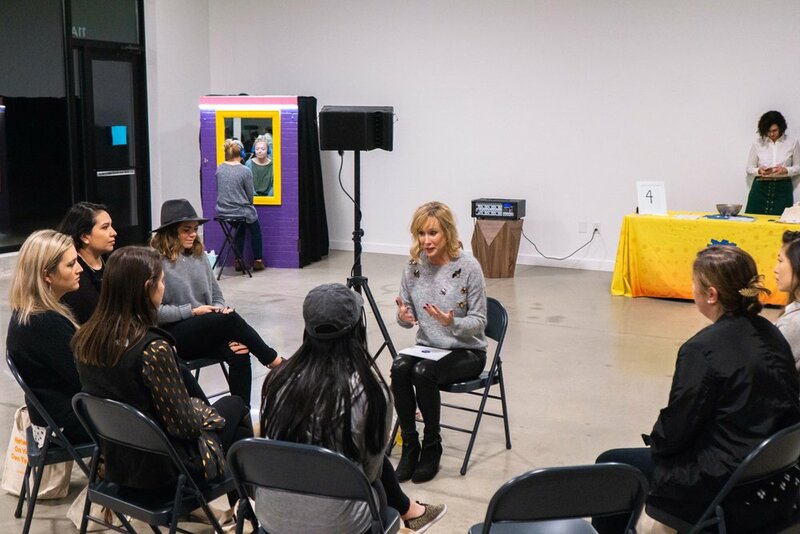 Bumble recruited four local businesses’ employees for a night of mindfulness on Oct. 23 at Meet at Relay, a gathering space in East Austin’s new Center for Social Innovation. Making the most of your work time requires training in productivity, as discussed by marketing consultant Kelly Stocker. Stocker’s presentation emphasized the importance of hacking your brain, whether it be with to-do lists, conscious calendaring, utilizing the Pomodoro Technique (five minutes of break time for every 25 minutes of work), or honing in self-awareness when necessary. Keeping yourself in tune with your posture, hydration levels, energy levels, “snackitude” and movement were essential for productivity. Liemandt and The Kindness Campaign’s mission is to spread messages of empathy and care towards the younger generation. They serve over 40,000 kids in 80 schools through hands-on work. The organization is most known for their “Magic Mirrors,” which are essentially one-sided mirrors with people inside them who compliment you through a headphone system. The prop garnered national attention, as they were previously featured on Good Morning America and were also chosen as a charity for Lady Gaga’s Born This Way Foundation. Attendees were given the chance to experience the mirrors for themselves. Kaysha Patel, the founder of Stretch Yoga Studio, provided a more hands-on approach for her lesson on refocusing your inner self. The experimental workshop was a quick yoga and meditation class that served as a moment of reflection for attendees. With an emphasis on breath, balance and being as present as possible, Patel gave a much-needed break from the business aspect of the event. Kaysha Patel, owner of Stretch Yoga Studio, led attendees through an experiential workshop focusing on mindfulness, meditation and yoga.